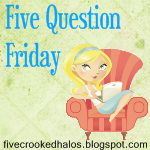 Well, I'm going to take some time off from my busy Black Friday and answer some questions from Mama M's Five Question Friday. 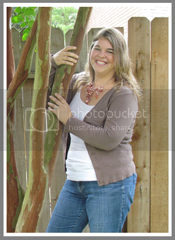 Check out what all the other bloggers had to answer to these questions over at her blog! Well, usually we do a real tree. A Frasier Fir tree to be exact. We go and cut it down at this great Christmas Tree Farm in Doylestown, Ohio. Unfortunately they do not grow here in Texas. They import them pre-cut from North Carolina. I am not a big fan of pre-cut trees. They dry out so quickly!! So, last year I went out EARLY on Black Friday and bought a beautiful 7 1/2 foot pre-lit tree at Home Depot. So, that is what is up in our family room as I type. It's the one holiday where all seven of my siblings make it home for the day. We all meet at my mom's around 9 am and she cooks a HUGE breakfast! We then all crowd into her living room and open presents. It's a mad house, as there are usually about 18 of us in the room. I love it! 3. Do you celebrate Thanksgiving in your neck of the woods? And, if so.... how many calories do you think you consumed yesterday? We certainly did Thanksgiving up this year! I cooked enough food for 10, and there were only 2 of us! I don't even want to think about how much I ate. But, atleast I have an excuse since I am eating for two! 4. Have you started decorating for Christmas yet? It's all done! After my shopping this morning I packed up the fall decor and pulled out my boxes and boxes of Christmas decorations! The stockings are hung, the tree is lit, the wreath is on the door... You get the idea. The only thing left to do is hang up our lights outside. Hopefully we'll get it done this weekend! Oooh.... That's a hard one! I love them all!! Jason's mom makes some FANTASTIC chocolates, and his grandma makes awesome anise cookies! I like to make an assortment myself. I don't think I can pick just one! Well, that's it for this Five Question Friday. I hope everybody had a great Thanksgiving! Hmmmm...interesting. I've never put "awesome" and "anise" in the same sentence before! ;) Loved reading your 5QF! The halls are gettin' decked here on Sunday!